How often would you have to clean a 1.5 with shrimp? Seems like it would be hard work to put together all the time!! What do you mean put together all the time? I have no need to pull it down everytime i need to clean it if that is what you mean. The shrimp are quite low bioload, they only require 1 pellet or algae disk dropped in when needed, they are excellent eaters in that they will eat all food provided. If the sand needs cleaning then i have a turkey baster that i can do the jar with, but honestly the shrimp will keep it clean. It looks good, how many shrimp are you adding? Google "Walstad aquarium" to get a general idea of how something like this can be accomplished . It can even be done with fish, provided you stock very lightly. I had a nano with a few cherry barbs (and later, celestial danios) that required no maintenance besides the very occasional top-offs. I actually miss that tank and will probably do one like Sharni is doing when I move...cherry shrimp rock . There are i think 4 adults and a few teeny ones that were in the net i missed seeing. Cherries are awesome!! It will be interesting to see how long the java stays small. I'll be keeping my eye out for a quantity of anubias nana & needleleaf java fern, which i will replace the standard java fern with. Tried getting a light, boy, just because i want one there are none around, will try again later in the week! That is so neat! 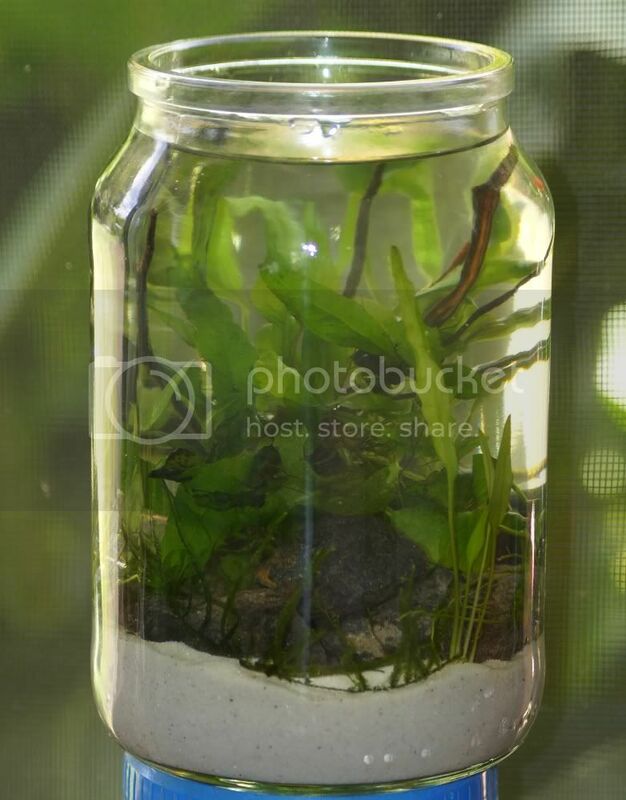 I just googled Walstad Aquariums, and I seriously want to make one! I have way too much extra Java moss and fern anyways. Will they work with just sand? I was reading that you needed soil and stuff under it. If I made one I would probably just use sand and water for my ACF's tank, since it is really established. It can work with sand depending on the plants used. With non-rooting plants like java ferns I don't see why not. 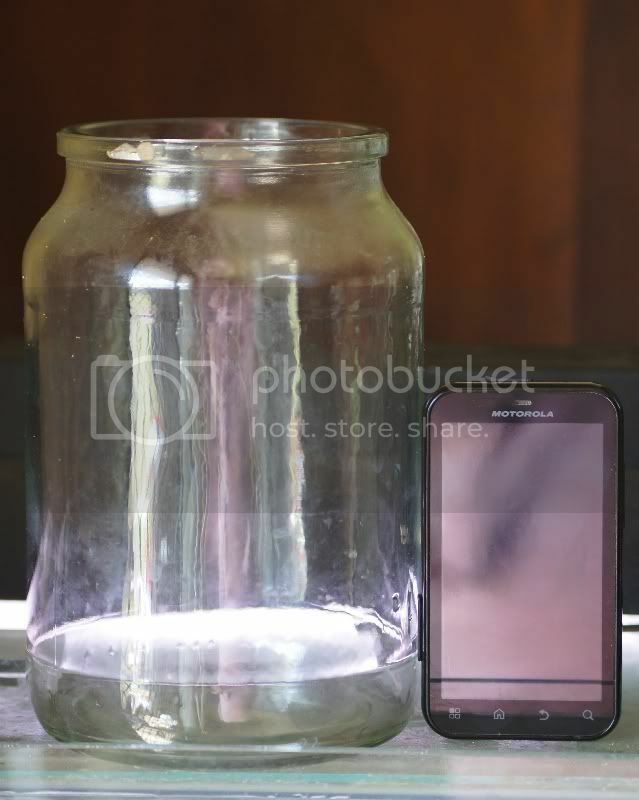 I picked up a desk lamp for it...has a halogen globe equivilant of 40W of light (over .4gal) *LOL* Will be a bit of trial and error at how far away for the top of the jar the light needs to be.